Here’s a quick thought that ran through my head and I did not want to abandon, in case it escaped me. I would love to hear your thoughts on the subject. Please comment, like, share! The sad truth is that many are ready to rejoice with Christ in glory, and they forsake participation with Christ via the cross. It has become a game of pick and choose in which comments and mention of glory are seen as literal; yet talk and mention of the cross and suffering, must be seen as figurative. We live in a world in which we seek to carry a velvet cross with padding and wheels, Why have we as a society chosen to side with the rich young man who says they have given all, when at a closer look what we have given is simply that which causes us discomfort. Are individuals who give what means nothing, really presenting a life as a living sacrifice? We are not called to die with Christ in the sense that we decide to follow him and that is all. To “be crucified with Christ” is to deny oneself, not to simply deny one’s sinfulness. To be a follower of Christ is to deny our take on life, in favor of the theology of the cross. If there is ever an example of denying oneself it would be found in Jesus,”let this cup pass from me if possible,” (paraphrase) he cried out. But without hesitation, and cup in hand, he faced suffering, denial of his desires to empower and strengthen others. During Passover and Easter, Christians as a whole, place emphasis on the resurrection of Jesus; sometimes at the price of overlooking the Passion of Christ (suffering from the Latin “pathos”). In doing so, we forget that the work of the cross is not entirely the resurrection–although it is the completion of his work and the hope–but also on the suffering and denial of himself and his power. So as we approach Easter, let it serve as a reminder and hopefully a calibrator which reorients our minds not only on the finished work of Christ, but on what his life and denial of self accomplished; for it is what we are constantly called to imitate. We are not called to imitate his resurrection, we are called to imitate his denial of self and self sacrificing love. It is not us who glorifies, but Christ who glorifies us, in our faith in him, and our imitation of his denial, as evident in the entirety of his passion. Last week on my Facebook page I presented a question, I asked how in the face of globalization and religious pluralism we are to engage those who hold differing beliefs. The week before that, I revisited the concept of pluralism in regard to Christianity. On that post, I received quite a bit of dialogue and here is my response to genuine pluralism and interfaith relationships; as well as my response to how someone can maintain their Christian distinction and authentically communicate Christ, in the midst of genuine pluralism and engagement of other religious faiths in a meaningful way. Due to the onset of globalization, which Muck describes as ” the idea that most of the world participates in a global culture (among others) connected by better and better worldwide communications,” those who hold different views aren’t isolated from us, and live in other countries; they are our neighbors, doctor’s, teacher’s, lawyer’s, elected officials, and people we have some sort of connections with. The evolution of technology and the increased level of travel, has brought with it an ability for unity; as well as a clash of differing religious beliefs. How then are we all to act in the face of increased plurality? It is my opinion that in order to engage the plurality of religious beliefs, we should adopt an attitude of genuine pluralism. What is genuine pluralism? Until recently, I would have driven down a much different path when answering this question; I would have missed the subtle, yet very important, use of the term “genuine” in relation to the term “pluralism”. Prior to this discussion, I would have viewed “pluralism” in a negative light; as a move towards acceptance and appropriation of differing views. Now as I reflect on that which I have learned and have had the opportunity to engage, I have to admit a change in my understanding of the term. With this new knowledge, also came a change towards embracing the practice of genuine pluralism. Genuine pluralism, as defined in the article, “From Diversity to Pluralism”, is “the engagement that creates a common society” from a community that is diverse. With this interpretation of pluralism, it can be seen that pluralism is important, and for various reason. First of all, genuine pluralism promotes an atmosphere of learning and education; which helps curb the existence of ignorance—an element which leads to hostile environments, that doesn’t promote peace. One of the main goals in adopting pluralism as an approach to differing religious beliefs, is the eradication of ignorance, via a humble desire to learn from and about others. The existence of ignorance is a major component of tolerance—to be understood in a negative sense, as opposed to compassion, and a true desire to understand the perspective of others. Tolerance is usually seen as a positive, a step towards compromise, or as an action taken by the “bigger man.” But is adopting a stance of tolerance really an act of “goodness?” I think not. To tolerate someone is not to seek communion and foster deep relationships, it is to do the bear minimum. If I were to use an example of the difference between tolerance and that which flows from genuine pluralism, it would be in using the difference between hearing and listening as a model. To hear is to acknowledge sound, and to listen is to engage that which is being said and to seek to understand and respond accordingly. In communication, to merely hear what is being said is to have one’s motives as of the utmost importance, and to listen is to desire to respect the other(s) and have a meaningful conversation. This appreciation of “the other”, an individual aside from oneself, is a key component to genuine pluralism, which is important to society as a whole. In educating ourselves and others, as a whole, humanity learns to care for one another; which leads to reason number two. The second reason why genuine pluralism is important is because, it helps society as a whole. Due to the uniqueness found, not just from person to person, but from culture to culture, there is much that can be learned from neighboring faiths. With a proper understanding and orientation of the beliefs and cultures of those who surround us, pluralism and interfaith movements allow us to “collaborate, to combine our differing strengths for the common good.” In using the American promise given to immigrants, we are able to see the appeal of this approach to pluralism and interfaith engagement. As Horace Kallen states, immigrants are told, “come as you are, with all your differences and particularities, pledged only to the common civic demands of American citizenship.” The importance of adopting a stance of genuine pluralism is clear, but is it possible to engage in genuine pluralism, while maintaining their Christian distinctions and authentically communicate Christ. Fisher would say that it is not possible to do so. I strongly believe that one can engage in genuine pluralism, while maintaining their Christian distinctions and authentically communicate Christ. To embrace pluralism is not to avoid disagreements, it is to seek to learn and remain united in the face of said disagreements. In order to engage in genuine pluralism, and authentically communicate Christ one should embrace Muck’s model called “giftive missions.” In this model of missions, we do away with the models of engagement that shuts down dialogue, the ability to foster true relationships, and the ability for interfaith commitments. In this form of missions, one does not seek to simply convert a person of a differing belief, but one seeks to bring the “greatest of all gifts, the story of what God has done for the world through Jesus Christ.” A Christian who embraces Muck’s model, does not become a “sell out” for the sake of creating and fostering peace, but is able to develop true and deep relationships that go far beyond telling someone about the Gospel; it allows a Christian to also live out the Gospel. Normally two main approaches to individuals of non-Christian faiths can be distinguished. On the one hand, the individual does absolutely nothing, in regards to the “spiritual disposition” of non-Christians; on the other hand, a Christian takes on the stance of “sparing no energy in eradicating the non-Christian religions of this world.” The solution to the problems, which resort from the two aforementioned approaches, is not found in an open acceptance of the beliefs of the other—in fear of landing on one of the extremes. The solution is found in adopting Muck’s proposal, which allows the Christian the ability to tend to their responsibility, of witnessing to the gracious gift of salvation, to come alive. As an academic and a Christian, it is my duty to seek unity in diversity; as should be expected by one who attends a university. As Ravi explains in his video, the term university “comes from the joining of the two root words, unity and diversity.” As a Christian I must seek to do just that, exist in peace with all, if possible; and if the need to disagree arises to present the truth with gentleness and respect. Terry C. Muck. Christianity Encountering World Religions: The Practice of Missions in the Twenty-first Century.” (Grand Rapids, MI: Baker Academic, 2009). 17. “From Diversity to Pluralism.” The Pluralism Project Harvard University: Encountering Religious Diversity. http://www.pluralism.org. Mary P. Fisher. Living Religions. 9th Edition (Upper Saddle River, NJ: Pearson Education, Inc., 2014), 507. Ravi Zacharias, “Secularization, Pluralism, Privatization – Pt 1” https://www.youtube.com/51d19a89-361e-4eca-b2a5-16fddffe4140. Roman 12:18; 1 Peter 3:15. As a graduate student, and as one who desires to pursue postgraduate studies this is a question I have had to ask myself, Why study Hebrew? During my early undergraduate years when I solidified my course of studies, I was confused as to why anyone would go through the torture of learning a language so far divorced from their own. 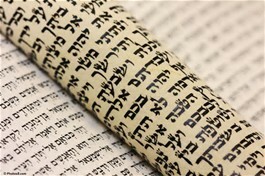 And when I found out the form of Hebrew mainly studied by Biblical scholars is a “dead language” (There are four main forms of the Hebrew language: Classical,Rabbinical/Mishnaic, Medieval/Rabbinic, and Modern) it was clear that Biblical scholars enjoy crying themselves to sleep at night. For those who are familiar with Biblical Studies the benefits of studying Classical/Biblical Hebrew are pretty familiar, and even then they sometimes elude us; and it is important to remind ourselves. Many of you who know me know that I love book! Well here’s a way for both of us to get a chance to get free signed copies of books! Not only are there book give aways yhey are giving away tickets to the conference! Click this link enter your email to sign up and then paste the link for others to get a chance as well! I was scouring the blogs on WordPress and I happened upon Zachary Pierpont’s blog and read his post titled “Proverbs Reading Challenge”. I have been on a reading plan with my wife, and let me admit we aren’t doing so well at keeping up with it. BUT we were talking about starting it up again or at the very least just jumping into a book of the Bible and reading through it. And this seems just like the thing we can do! Although I am 3 days behind. I want to jump into the practice of reading through the Book of Proverbs at least once a month. Proverbs has 31 chapters within it, and the days of the month commonly range from 30-31 days—with the exception of that tricky February. So it seems pretty easy doesn’t it? Pick up your Bible and read one chapter a day, with the exception of the last few days of February where you double up to make up for the “lost days”, and those months which have 30 days and require you to double up that final day. I want to challenge you all, and hope you all will challenge me on as well: let’s do the “Proverb Challenge” together! For those who already have a Bible reading plan could you partner with us and add this in? For those who do not have a Bible reading plan, I challenge you to make this an introduction to integrating a Bible reading plan. It isn’t a hefty amount to read per day at all and it will help set in the habit. I would estimate that it would not take more than 5 mins to complete. Simple enough isn’t it? And if you’re jumping in mid-month or you are behind a few days, you can either make up the chapters you have missed or continue with the chapter listed for your day (you’ll get it next month for sure). I highly recommend the first option, but this month I just want us to develop a habit! As Christians, consistent reading of Scripture is important, how else are we to make it a lamp unto our feet and a light unto our path? Gonzalez, Justo L. A History of Christian Thought in One Volume. (Nashville: Abingdon Press,2014), Kindle edition. This book, written by prolific author and great theologian, Justo L. Gonzalez, who has added tons of wealth to theology both in academia and practical church realms, lives up to the expectation. In an abridged version of his three-volume work, Gonzalez, provides a more than sufficient and detailed overview of the development of Christian thought; as opposed to a mere overview of Church History. One of the battles I face as a Pentecostal who has a God given passion for academia is the battle between faith and reason. The older I get the more I hope that this war would end, but with every step in the right direction that I face I am reminded that perfect peace is not attainable this side of Heaven. I am all about the emotive expressions that are found within the Pentecostal tradition, and I am a firm believer in the miracles and supernatural; I would even label myself a Continuationist (one who believes that the spiritual gifts of God are still present even today). But must we disregard our intellect for our expression? I see a wide spread motion within Pentecostalism, that places our intellect as inferior to other aspects of our interaction with God. And it is sad to see, given that the philosophy which pushes the idea that intellect is subservient to one’s experience, does not find it’s origin Scripture.